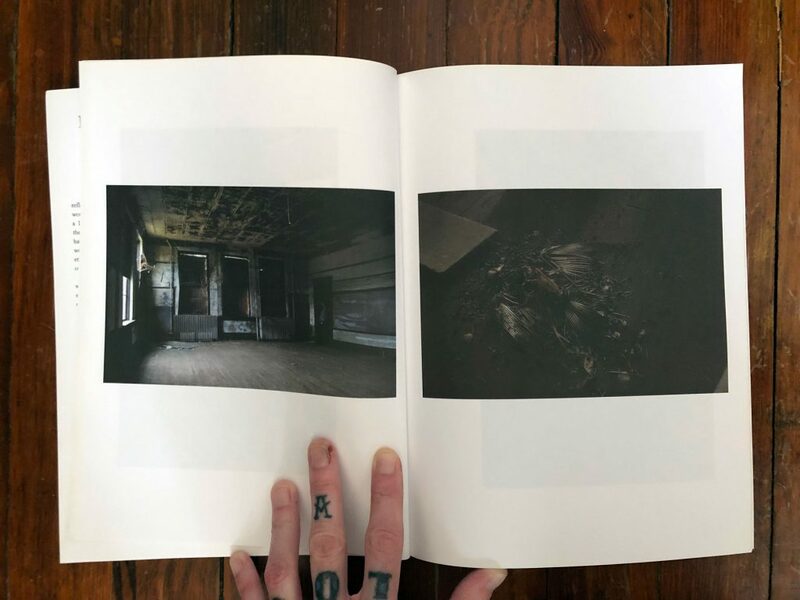 Artist and Activist M. Osborn has spent her life around the fringes of society, be it in subculture of punk rock, or in her activist work in the space of radical mental health. 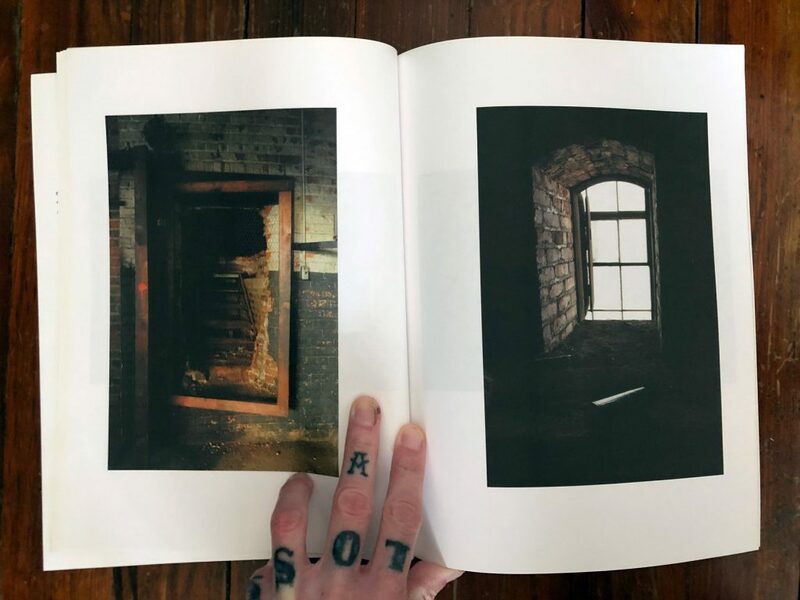 Her work as an artist, is informed by these positions, and serves as a lens from which we can view the things around us, with a new depth in insight. 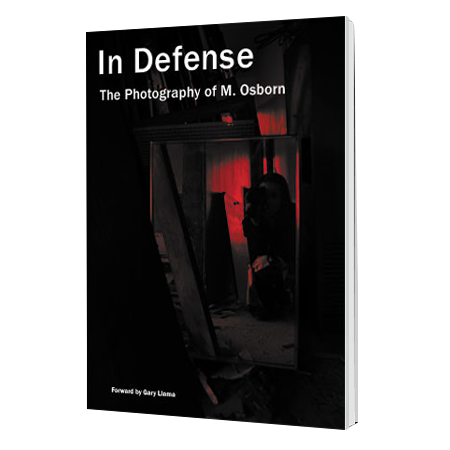 ‘In Defense’ is a selection of the artist’s photography of abandoned sites around Virginia. 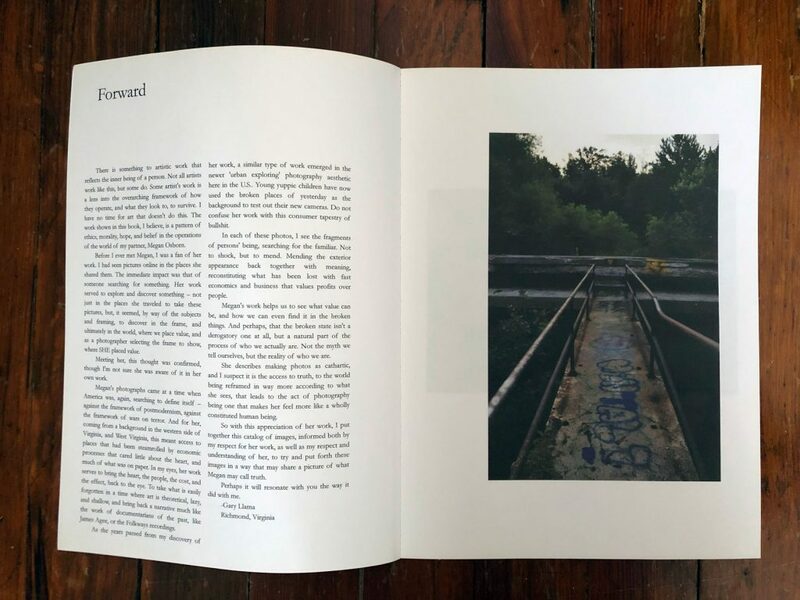 In her photography, M shows us beauty, even amongst things traditionally not viewed as beautiful, while also, digging into issues that relate to our perspectives of value, and socio-political positions. 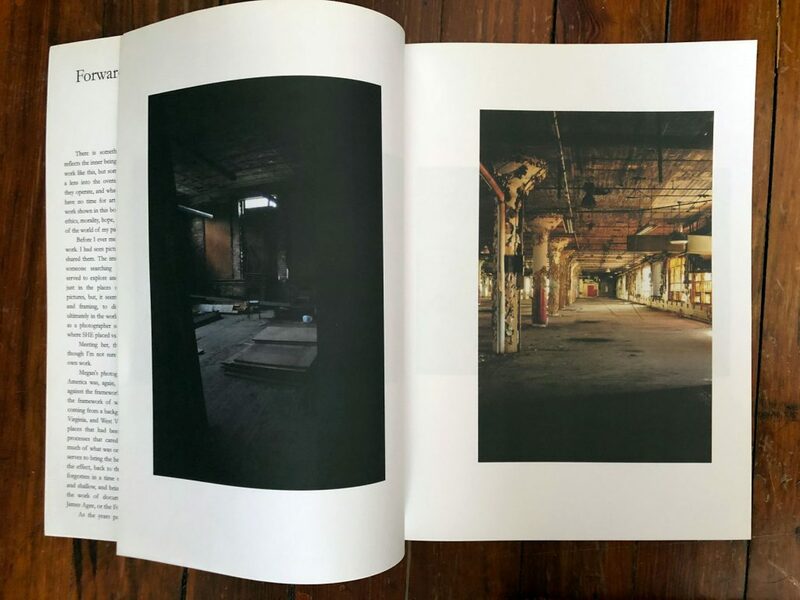 The book features 50+ of her images, and features a forward by fellow artist, Gary Llama.